Cozy and Move in Ready! This gorgeous home is Ideally located in Arrowhead Ranch's Sierra Verde Subdivision. 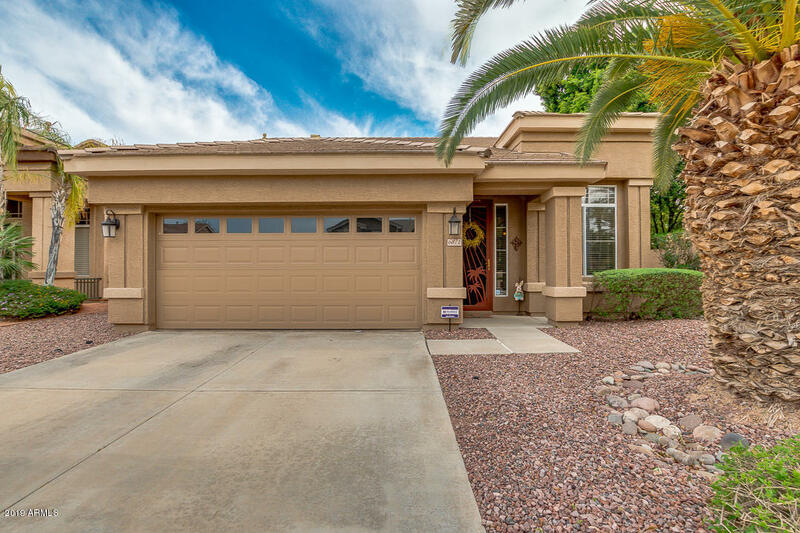 1 Story, 3 bedrooms, 2 full bathrooms with a POOL & a 2 Car garage! Formal living and dining at entry with vaulted ceilings that flow into Kitchen and Family Room. Granite Counter-tops in Kitchen and at Kitchen Island. Subtle improvements and extras everywhere that make this home special! Laminate Wood Flooring throughout most of the home! No Carpet anywhere! Security Screen door at Entry and at Backdoor. Covered Back Patio, Turf Grass, raised planters and pavers in backyard that is perfect for entertaining. Corner Lot, facing North/South with views of community lake. Easy access to shopping,restaurants and 101 fwy. You will love this place!